All anticoagulants are essentially blood thinners. Medications like Pradaxa, Coumadin, Heparin, and even Aspirin block the body’s ability to form blood clots. For people with certain heart conditions, this keeps harmful clots from forming, traveling to the brain, and causing a stroke. At the same time, these drugs put patients at a higher risk of hemorrhage, or excessive bleeding. Because the body cannot create clots with anticoagulants in the blood system, it does not have a mechanism to stop hemorrhages. This is especially dangerous in the event of internal bleeding. Most of these anticoagulants have an antidote that neutralizes their blood thinning effect, thus allowing the body to clot blood again naturally. For Coumadin, vitamin K removes its anticoagulant properties. Protamine sulfate immediately reverses the effect of Heparin. 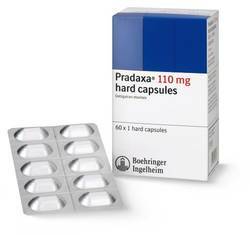 Pradaxa, however, does NOT have an antidote. If a patient begins to hemorrhage internally, there is NO way reverse it’s effect. In fact, the only option for patients suffering from internal bleeding with Pradaxa in their bloodstream is dialysis to slowly remove it from their system. Researchers have speculated that in two to three hours, dialysis can only remove, at most, 60% of the Pradaxa from a patient’s system. 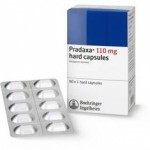 This can lead to a significant amount blood loss and has resulted in hundreds of deaths that could have been prevented if Pradaxa had an antidote. If you or a loved one has had excessive bleeding from taking Pradaxa, contact attorney Brian White today to get a free consultation and to find out your legal rights and options. Our office handles defective drug cases across the United State and we pursue manufactures and the marketers of defective products. With every case we handle our goal is not only to achieve justice for people who have been harmed by taking Pradaxa, but to also help protect the public from the risk of harm. Call us today at 1-866-310-9722 and find out how we can help. Consultations are always free and there is never a fee unless we recover on your behalf.